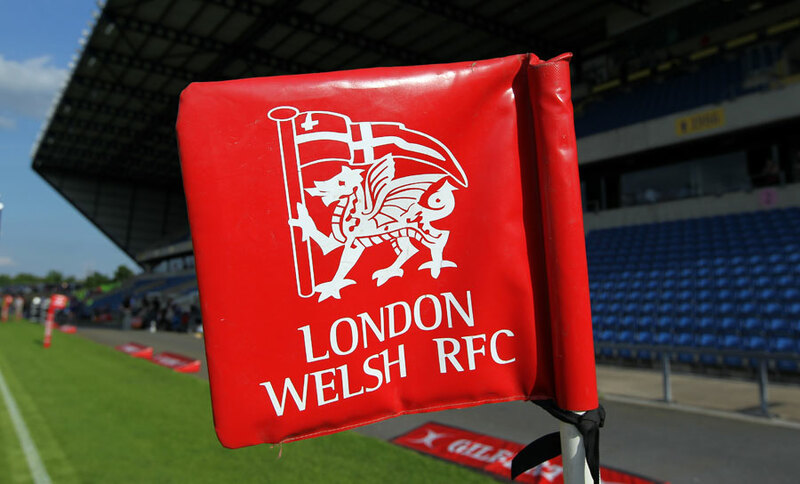 Should London Welsh succeed in breaking into the Premiership cartel on appeal on June 21, it will mean more than a changing of playing status. After 55 years at Old Deer Park, the Welsh will be forced to up sticks and move - for Premiership matches at least - to the Kassam Stadium in Oxford. While that might raise questions over one element in their name, the act of moving will be nothing new for a club that could with no jeopardy under the Trades Descriptions act have inserted 'Wanderers' into their name for much of their history. The Kassam would be the 18th home in the club's 127-year history - and that excludes grounds such as Richmond, Crystal Palace, Twickenham and Blackheath which have hosted the odd match without ever being regarded as a permanent venue. The move would also end one of the longest continuous traditions of senior rugby in a single location anywhere in the world. Old Deer Park became the home of the Richmond club in 1873, was taken over by London Scottish for five seasons when Richmond moved down the road to the Athletic Ground in 1890 and then in 1895 became the home of Rosslyn Park and Old Merchant Taylors. The OMTs moved out to Teddington in 1922, but Park stayed around until their move to their current ground at Roehampton created a vacancy that Welsh were delighted to take up in 1957. The image of the Kew pagoda overlooking the ground was so associated with Welsh, courtesy of the club's golden age in the 1960s and 1970s, that it was the natural choice for the front cover of Paul Beken and Stephen Jones' centenary history Dragon in Exile (1985), a book to which this article is almost entirely indebted. But at that time Welsh had only been there for 28 years, less than half the time during which 'Rosslyn Park' was the fan's natural word association whenever 'Old Deer Park' was mentioned. But Welsh rapidly became, in Michael Green's memorable characterization: "Not so much a London club as a Welsh club that happens to play in Richmond." As Beken and Jones make clear, their previous history supplied copious reasons why the Welsh took to the ground with such fondness. First came that history of wandering. They had no home ground at all in their first three seasons from the club's foundation in 1885, then no fewer than 14 in the 26 years between their first home match at Raynes Park in 1888 and the outbreak of war in 1914. Their travels took them to every part of London, with homes in every outer postal district - N,NW,SW,SE and E.
The most nominally appropriate was the Welsh Harp at Hendon. The Exiles clearly felt at home there as well, winning 18 of their 21 matches in a six-season stay from 1900. Some grounds had notable sporting histories - the Welsh shared Leyton Cricket ground, then Essex's permanent home in 1905 and 1906. Leyton was followed by another eastern location, the Memorial Ground in West Ham, which had become vacant when West Ham United FC moved to Upton Park. Queen's Club, a noted tennis and rugby venue, was used for bigger matches from 1902 to 1905. Oddest named, and least successful in results terms, was the Tee To Tum ground - one of a chain of so-named parks funded by the tea industry - on Stamford Hill, which saw three home defeats in 1897. A chance for permanence loomed in 1909 when Harlequins vacated Heathfield Road in Wandsworth for Twickenham. Welsh took over the ground and bought it in 1911. They might have been there still, but for the outbreak of war in 1914 which led to a decision to sell, leaving the club homeless when play resumed post-war. They found a new home at the Herne Hill cycle track, and were to stay for nearly 40 years. This too was a site with distinguished sporting associations - venue for the cycling events at the 1948 Olympics, visits by giants of the sport such as Jacques Anquetil and Fausto Coppi and for Bradley Wiggins first competitive steps as a junior. But, as a rugby ground, it left rather a lot to be desired. Beken and Jones record "Conditions at Herne Hill were almost Dickensian. Opportunities for entertaining and socializing were virtually non-existent and as for the pitch…no ground in England can have been maligned as much as poor, inaccessible Herne Hill. Frequently waterlogged, ankle deep in mud from November to February, from the comments one would think it a wonder any game ever ran its full course. The changing rooms had a heating system which could provide two baths of tepid water for 15 players, hot meals were not available and most grievous of all, alcohol was not permitted by the Dulwich College landlords". Former player Gwyn Francis recalled avoiding the unappealing changing rooms by getting into his kit on a train into Paddington, only on one occasion to realise on reaching the ticket barrier that his trousers were still hanging in the toilet compartment on the train. Vivian Jenkins, the greatest player of the Herne Hill era, remembered how the club adopted the nearby Half Moon pub - still operating, and a noted music venue - and that, "If I had been given a fiver for every time I sang Sospan Fach or Calon Lan at the old 'Half Moon' near Herne Hill Station in my playing days in the thirties I should be a millionaire!" Herne Hill also became known to a couple of generations of Welsh players, some perhaps made to feel at home by the resemblance of playing conditions to the notoriously swamp-like Arms Park, as the venue for national team get-togethers on the night before their biennial trip to Twickenham. But the Welsh started seeking alternatives almost as soon as they arrived. They actually did leave briefly, going to home number 16 at Kingston Cricket Club in Surbiton in 1921, but were driven back by miserable attendances within a year. Beken and Jones chronicle the almost annual pursuit of alternatives in the 1930s - with grounds at Hounslow, Kendra Hall, Richmond, Earlsfield, Teddington, Chessington and Esher all considered - and the possibility of taking over Rosslyn Park's lease at Old Deer Park debated as early as 1937. When that move finally came to pass two decades later, former Welsh international and referee Arthur Rees was notably unsentimental: "The thought that no more Welsh boys will play on this quagmire gives me the greatest possible pleasure…the fact that the Welsh has remained one of the finest clubs in rugby football is not because of Herne Hill, but despite it….."
Much greater regrets would accompany departure from Old Deer Park. If a rejection of their appeal will occasion anger far beyond the ranks of Exiles fans at the gated community mentality of the Premiership, it would at least carry the compensation of making any such move unnecessary - for the time being, at least.